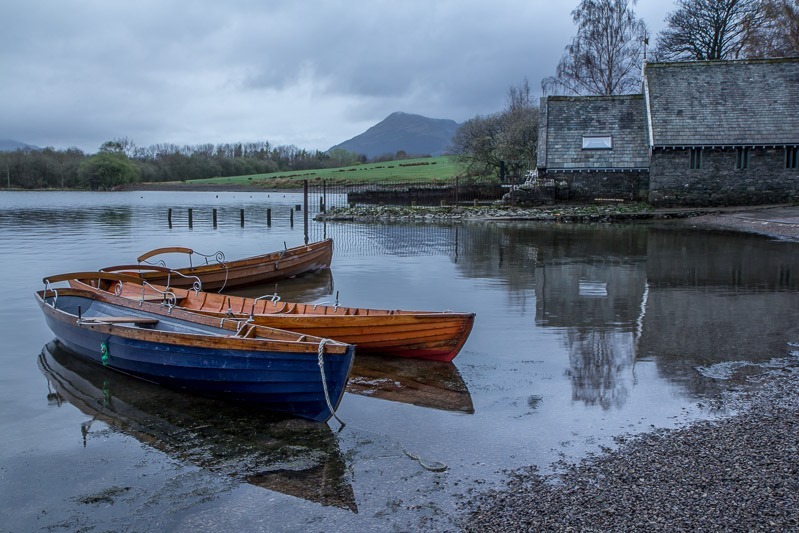 A post to advertise a new web album of photos from our recent rather grey and often wet trip the English Lake District has just been added to our Travel page. We dragged Billy up and pitched him on the Camping and Caravanning Club’s site nestling beside Derwentwater in Keswick. The weather was slightly better than the utterly pitiful weather that we’d enjoyed [read: endured] in Scotland in September 2012, but it was a close contest. So, why travel all the way to Scotland for rain and clouds when you can get them in the north-west of England, I ask? No reason at all, especially as Keswick has an absolutely superb Booths supermarket, which I would class as the Waitrose of the north-west. We were joined by a friend for a few days; he had been intending to stay for the week but decided that the weather didn’t merit the wasting more restaurant money. Perversely, the best day of our 8-day trip was the day that we hitched Billy up and travelled back home. The sunny spells seemed inviting but the expected invasion by hoards of screaming Satan’s Little Disciples on their Easter break from school did not – we left anyway. We had been hoping to do some walking but that didn’t happen – except to Booths and back. Our other target was some landscape photography allowing Carol to practise with her new Lee Big Stopper [a 10-stop neutral density filter to slow things down dramatically]. 90% of the pictures are Carol’s – I was mainly her chauffeur. 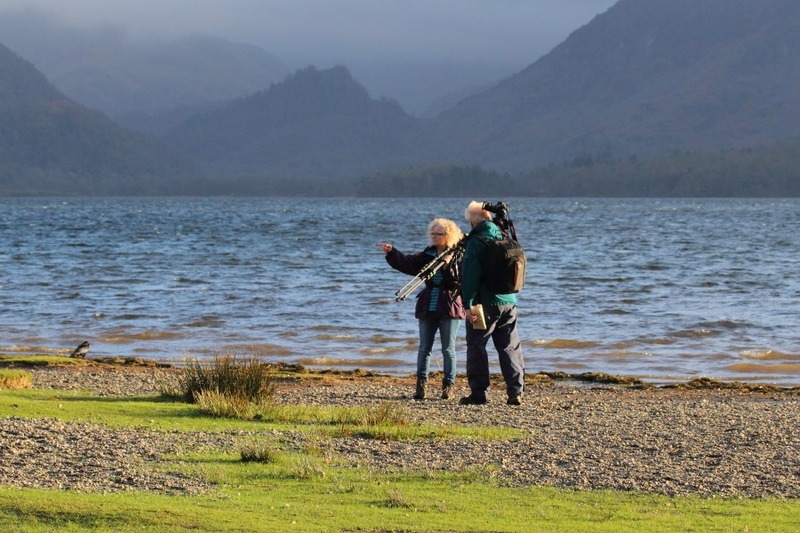 As we were right beside Derwentwater, that produced the majority of her material. Here’s a direct link to 2014 The Lake District for any that may be interested.